Maize agriculture was practiced in the US Southwest slightly before 2000 BC, but had a negligible impact on population growth rates until it was coupled with other innovations in subsistence and social practice. 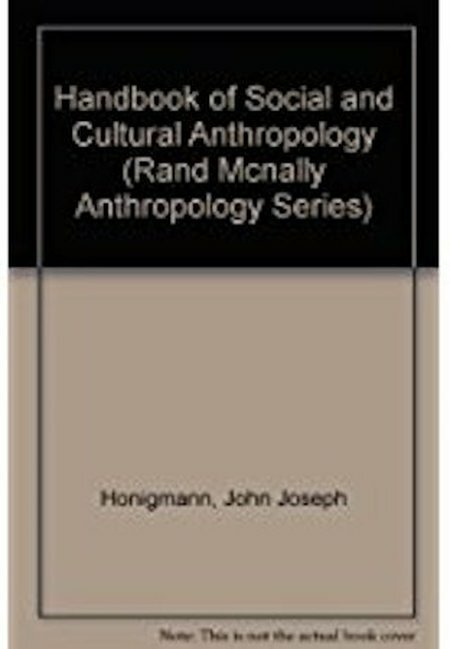 These include the development or introduction of more productive landraces; the ability to successfully cultivate maize under a greater variety of conditions, with dry farming especially important; the addition of beans, squash, and eventually turkey to the diet; and what we infer to be the remapping of exchange networks and the development of efficient exchange strategies in first-millennium-AD villages. Our tabulations of the P(5-19) proportion emphasize the heartlands of the Chaco and Mesa Verde Anasazi (prehispanic Pueblo) populations. We find that this measure is somewhat affected by warfare in our region. Nevertheless, there is a strong identifiable Neolithic Demographic Transition signal in the US Southwest in the mid-first-millennium AD in most sub-regions, visible a few hundred years after the introduction of well-fired ceramic containers, and more or less contemporaneous with the first appearance of villages. Some 250 million years ago, the earth suffered the greatest biological crisis in its history. Around 95% of all living species died out--a global catastrophe far greater than the dinosaurs' demise 65 million years ago. How this happened remains a mystery. But there are many competing theories. Some blame huge volcanic eruptions that covered an area as large as the continental United States; others argue for sudden changes in ocean levels and chemistry, including burps of methane gas; and still others cite the impact of an extraterrestrial object, similar to what caused the dinosaurs' extinction. Extinction is a paleontological mystery story. Here, the world's foremost authority on the subject provides a fascinating overview of the evidence for and against a whole host of hypotheses concerning this cataclysmic event that unfolded at the end of the Permian. After setting the scene, Erwin introduces the suite of possible perpetrators and the types of evidence paleontologists seek. He then unveils the actual evidence--moving from China, where much of the best evidence is found; to a look at extinction in the oceans; to the extraordinary fossil animals of the Karoo Desert of South Africa. Erwin reviews the evidence for each of the hypotheses before presenting his own view of what happened. 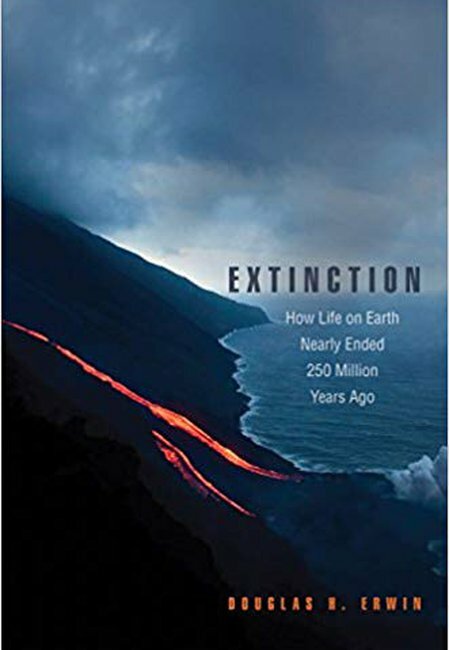 Although full recovery took tens of millions of years, this most massive of mass extinctions was a powerful creative force, setting the stage for the development of the world as we know it today. Would improving the economic, social, and political condition of the world's disadvantaged people slow--or accelerate--environmental degradation? In Inequality, Cooperation, and Environmental Sustainability, leading social scientists provide answers to this difficult question, using new research on the impact of inequality on environmental sustainability. The contributors' findings suggest that inequality may exacerbate environmental problems by making it more difficult for individuals, groups, and nations to cooperate in the design and enforcement of measures to protect natural assets ranging from local commons to the global climate. But a more equal division of a given amount of income could speed the process of environmental degradation--for example, if the poor value the preservation of the environment less than the rich do, or if the consumption patterns of the poor entail proportionally greater environmental degradation than that of the rich. 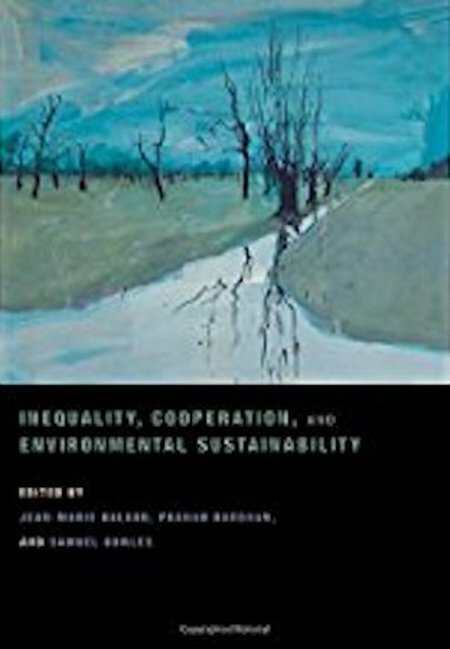 The contributors also find that the effect of inequality on cooperation and environmental sustainability depends critically on the economic and political institutions governing how people interact, and the technical nature of the environmental asset in question. The contributors focus on the local commons because many of the world's poorest depend on them for their livelihoods, and recent research has made great strides in showing how private incentives, group governance, and government policies might combine to protect these resources. Can the welfare state survive in an economically integrated world? Many have argued that globalization has undermined national policies to raise the living standards and enhance the economic opportunities of the poor. 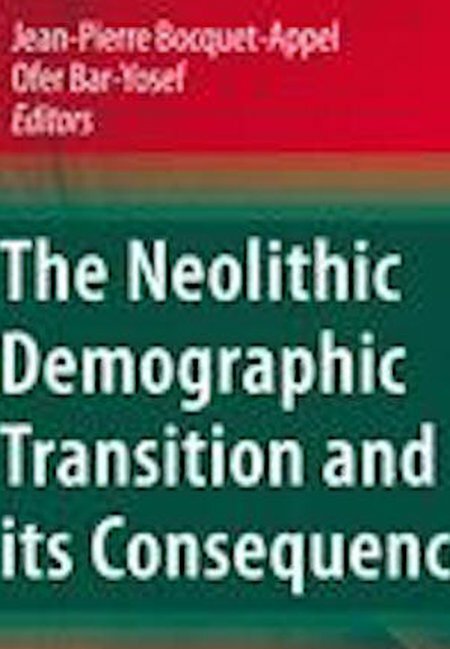 This book, by sixteen of the world's leading authorities in international economics and the welfare state, suggests a surprisingly different set of consequences: Globalization does not preclude social insurance and egalitarian redistribution--but it does change the mix of policies that can accomplish these ends. Globalization and Egalitarian Redistribution demonstrates that the free flow of goods, capital, and labor has increased the inequality or volatility of labor earnings in advanced industrial societies--while constraining governments' ability to tax the winners from globalization to compensate workers for their loss. This flow has meanwhile created opportunities for enhancing the welfare of the less well off in poor and middle-income countries. 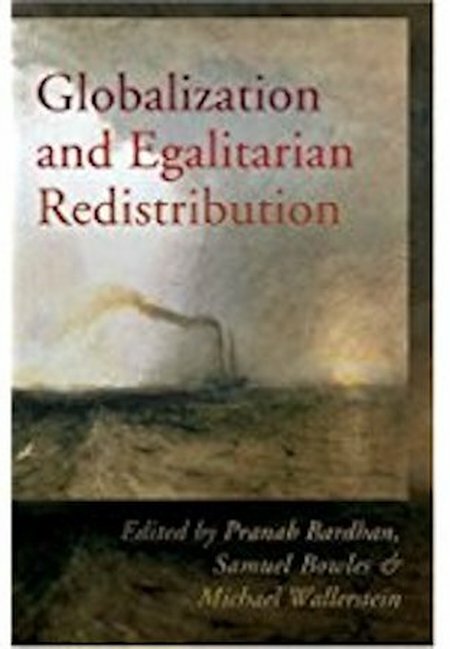 Comprising eleven essays framed by the editors' introduction and conclusion, this book represents the first systematic look at how globalization affects policies aimed at reducing inequalities. The contributors are Keith Banting, Pranab Bardhan, Carles Boix, Samuel Bowles, Minsik Choi, Richard Johnston, Covadonga Meseguer Yebra, Karl Ove Moene, Layna Mosley, Claus Offe, Ugo Pagano, Adam Przeworski, Kenneth Scheve, Matthew J. Slaughter, Stuart Soroka, and Michael Wallerstein. 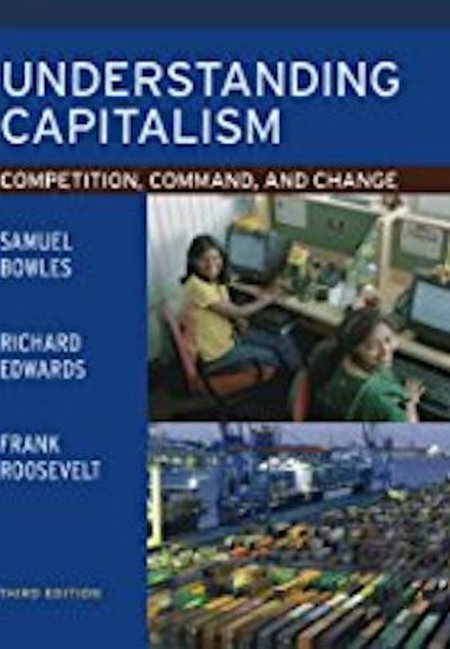 Understanding Capitalism: Competition, Command, and Change, Third Edition, is an introduction to economics that explains how capitalism works, why it sometimes does not work as well as we would like it to, and how over time it not only changes but also revolutionizes the world around us. The "three-dimensional approach" of the text focuses on competition in markets; command in firms, governments, and international relations; and change as a permanent feature of a capitalist economy driven by technical innovation and conflict over the distribution of income. The book covers the standard topics of supply and demand, market competition, imperfect competition, aggregate demand, inflation, and unemployment. It emphasizes the extraordinary dynamism and material productivity of the capitalist economy; the psychological foundations of human behavior; the logic and limitations of Adam Smith's invisible hand; technical change and the new information-based economy; global economic integration and its impact on national economies; the impact of economic activity on the environment; and inequality both within and among nations. 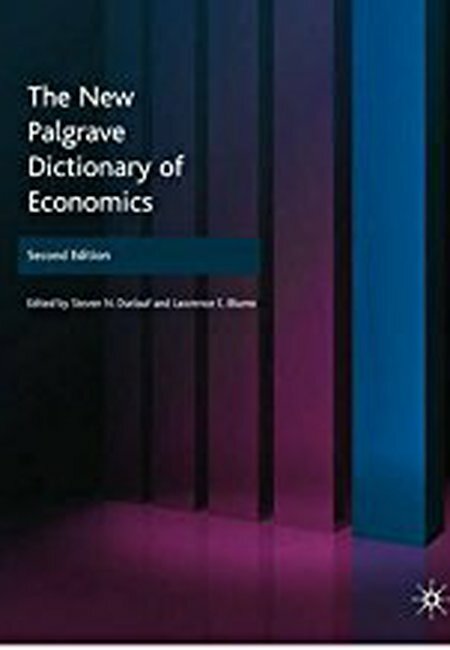 In addition, it provides a critical evaluation of the tenets of neoclassical economics, a clear introduction to contract theory, and material drawn from new research in behavioral, institutional, and information economics. All living things are remarkably complex, yet their DNA is unstable, undergoing countless random mutations over generations. Despite this instability, most animals do not grow two heads or die, plants continue to thrive, and bacteria continue to divide. 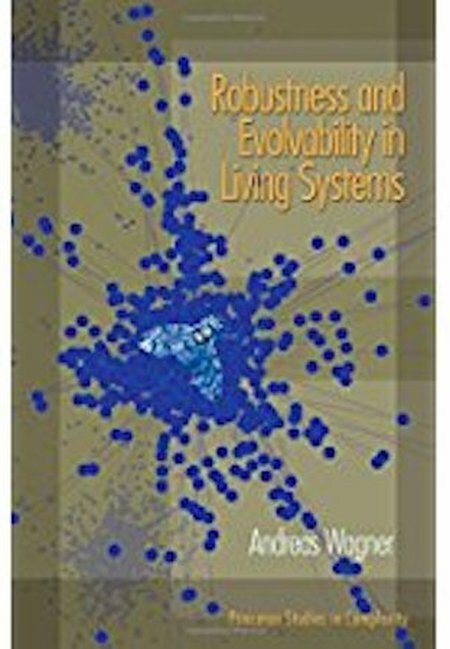 Robustness and Evolvability in Living Systems tackles this perplexing paradox. The book explores why genetic changes do not cause organisms to fail catastrophically and how evolution shapes organisms' robustness. Andreas Wagner looks at this problem from the ground up, starting with the alphabet of DNA, the genetic code, RNA, and protein molecules, moving on to genetic networks and embryonic development, and working his way up to whole organisms. He then develops an evolutionary explanation for robustness. Wagner shows how evolution by natural selection preferentially finds and favors robust solutions to the problems organisms face in surviving and reproducing. Such robustness, he argues, also enhances the potential for future evolutionary innovation. Wagner also argues that robustness has less to do with organisms having plenty of spare parts (the redundancy theory that has been popular) and more to do with the reality that mutations can change organisms in ways that do not substantively affect their fitness. Unparalleled in its field, this book offers the most detailed analysis available of all facets of robustness within organisms. It will appeal not only to biologists but also to engineers interested in the design of robust systems and to social scientists concerned with robustness in human communities and populations. Is the United States "the land of equal opportunity" or is the playing field tilted in favor of those whose parents are wealthy, well educated, and white? If family background is important in getting ahead, why? And if the processes that transmit economic status from parent to child are unfair, could public policy address the problem? 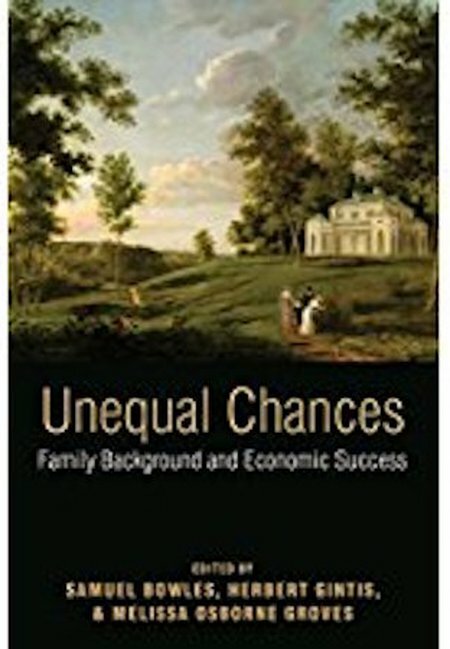 Unequal Chances provides new answers to these questions by leading economists, sociologists, biologists, behavioral geneticists, and philosophers. New estimates show that intergenerational inequality in the United States is far greater than was previously thought. Moreover, while the inheritance of wealth and the better schooling typically enjoyed by the children of the well-to-do contribute to this process, these two standard explanations fail to explain the extent of intergenerational status transmission. The genetic inheritance of IQ is even less important. Instead, parent-offspring similarities in personality and behavior may play an important role. Race contributes to the process, and the intergenerational mobility patterns of African Americans and European Americans differ substantially. 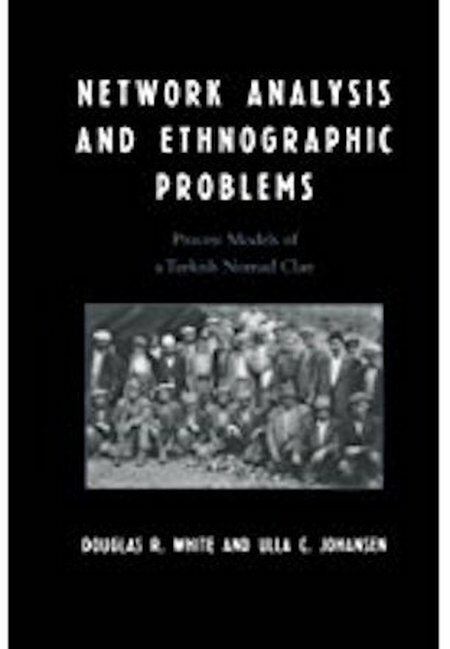 Following the editors' introduction are chapters by Greg Duncan, Ariel Kalil, Susan E. Mayer, Robin Tepper, and Monique R. Payne; Bhashkar Mazumder; David J. Harding, Christopher Jencks, Leonard M. Lopoo, and Susan E. Mayer; Anders Björklund, Markus Jäntti, and Gary Solon; Tom Hertz; John C. Loehlin; Melissa Osborne Groves; Marcus W. Feldman, Shuzhuo Li, Nan Li, Shripad Tuljapurkar, and Xiaoyi Jin; and Adam Swift. This volume provides a current synthesis of theoretical and empirical food web research. Whether they are binary systems or weighted networks, food webs are of particular interest to ecologists in providing a macroscopic view of ecosystems. They describe interactions between species and their environment, and subsequent advances in the understanding of their structure, function, and dynamics are of vital importance to ecosystem management and conservation. Aquatic Food Webs provides a synthesis of the current issues in food web theory and its applications, covering issues of structure, function, scaling, complexity, and stability in the contexts of conservation, fisheries, and climate. 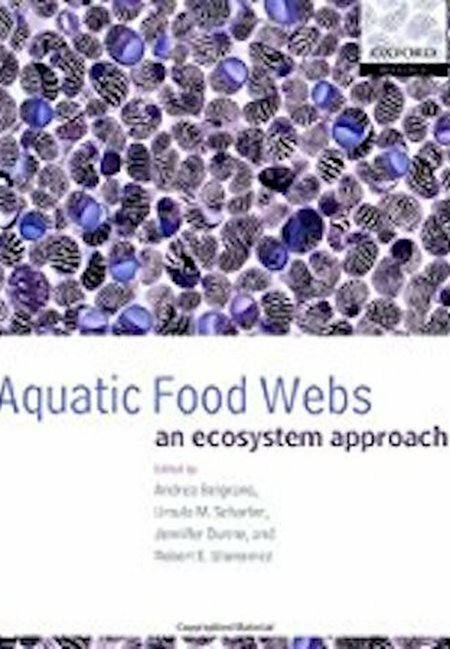 Although the focus of this volume is upon aquatic food webs (where many of the recent advances have been made), any ecologist with an interest in food web theory and its applications will find the issues addressed in this book of value and use. This advanced textbook is suitable for graduate level students as well as professional researchers in community, ecosystem, and theoretical ecology, in aquatic ecology, and in conservation biology. 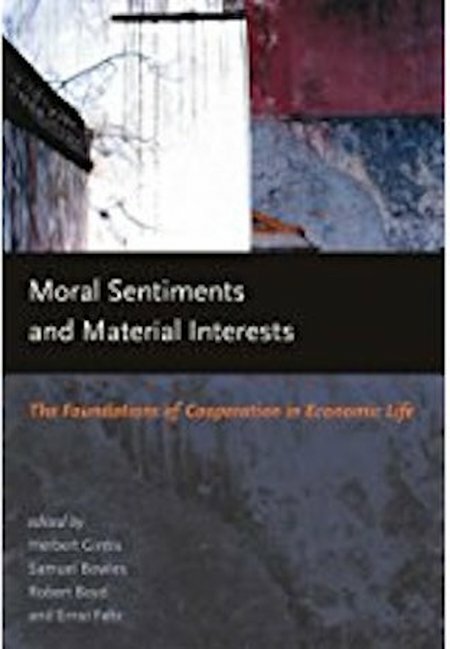 Moral Sentiments and Material Interests presents an innovative synthesis of research in different disciplines to argue that cooperation stems not from the stereotypical selfish agent acting out of disguised self-interest but from the presence of "strong reciprocators" in a social group. Presenting an overview of research in economics, anthropology, evolutionary and human biology, social psychology, and sociology, the book deals with both the theoretical foundations and the policy implications of this explanation for cooperation. Chapter authors in the remaining parts of the book discuss the behavioral ecology of cooperation in humans and nonhuman primates, modeling and testing strong reciprocity in economic scenarios, and reciprocity and social policy. The evidence for strong reciprocity in the book includes experiments using the famous Ultimatum Game (in which two players must agree on how to split a certain amount of money or they both get nothing). 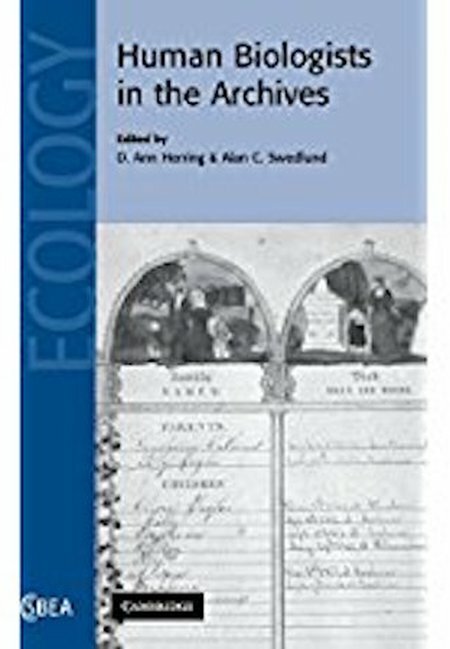 This book describes how archival data inform anthropological questions about human biology and health. The authors present a diverse array of human biological evidence from a variety of sources including the archaeological record, medical collections, church records, contemporary health and growth data, and genetic information from the descendants of historical populations. The contributions demonstrate how the analysis of historical documents expands the horizons of research in human biology, extends the longitudinal analysis of microevolutionary and social processes into the present, and enhances the understanding of the human condition. 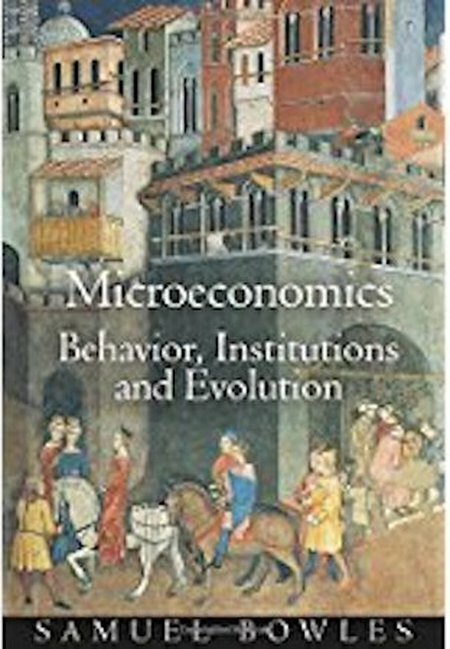 In this novel introduction to modern microeconomic theory, Samuel Bowles returns to the classical economists' interest in the wealth and poverty of nations and people, the workings of the institutions of capitalist economies, and the co-evolution of individual preferences and the structures of markets, firms, and other institutions. Using recent advances in evolutionary game theory, contract theory, behavioral experiments, and the modeling of dynamic processes, he develops a theory of how economic institutions shape individual behavior, and how institutions evolve due to individual actions, technological change, and chance events. Topics addressed include institutional innovation, social preferences, nonmarket social interactions, social capital, equilibrium unemployment, credit constraints, economic power, generalized increasing returns, disequilibrium outcomes, and path dependency. Each chapter is introduced by empirical puzzles or historical episodes illuminated by the modeling that follows, and the book closes with sets of problems to be solved by readers seeking to improve their mathematical modeling skills. Complementing standard mathematical analysis are agent-based computer simulations of complex evolving systems that are available online so that readers can experiment with the models. Bowles concludes with the time-honored challenge of "getting the rules right," providing an evaluation of markets, states, and communities as contrasting and yet sometimes synergistic structures of governance. Must reading for students and scholars not only in economics but across the behavioral sciences, this engagingly written and compelling exposition of the new microeconomics moves the field beyond the conventional models of prices and markets toward a more accurate and policy-relevant portrayal of human social behavior. Twenty-eight original articles provide a comprehensive survey of the theories, methods, and research issues that have recently emerged in all subfields of the discipline.